Allergy season can be a costly time of year for hay fever sufferers. Our investigation found the savings you can get by shopping around for antihistamines aren’t to be sneezed at. We visited 30 pharmacies in Auckland, Wellington and Christchurch to compare prices of 7 commonly stocked antihistamine products. Of the 7, 4 were “generics”, with the same active ingredient and effect on the body as the big-name brand. For all 7 products, we found significant price differences from one pharmacy to the next. Prices could vary by up to $37 depending on where you shopped. At Pharmacy Xtra in downtown Christchurch, we found a 90-pack of Razene (the antihistamine cetirizine) on sale for $66.90. Across town, the same pack was selling for nearly half that – $37.99 – at South City Pharmacy. We also recorded marked price differences even at outlets of the same chain in the same city. Unichem Botany in Auckland had priced 30 pills of Telfast 180mg at $66.99, while Unichem WestCity Mall was charging $22 less ($44.99). Unichem says its Botany franchise’s pricing was “an anomaly” and the owner is now using the company’s $49.99 recommended retail price for the item. The Unichem and Life Pharmacy chains are both owned by Green Cross Health. You might expect to see consistent value – that the cheapest pharmacy for one product would offer good prices on the rest. But this wasn’t always the case. Among the stores visited, Auckland’s Henderson Discount Pharmacy had the best value for Fexaclear (fexofenadine) but it was one of the more expensive places to buy Zyrtec (cetirizine). Even if you think your neighbourhood pharmacy offers good value, it can pay to shop around. When we contacted the store, Henderson said its $45.99 price tag for Zyrtec 30s was a mistake and adjusted it to $31.99. Buying online can cut the cost of your antihistamine bill. Excluding Claratyne (loratadine) and Zyrtec, we found the website Pharmacy Direct offered the best deal for 5 of our 7 surveyed products, even when delivery fees were factored in. The online retailer beat the cheapest price in our survey for the 5 products by between $3 and $12 (including postage). The Life Pharmacy and Unichem brands also offer online shopping, though these prices are in line with what you’d find in store. When we looked at the average cost per pill, large-sized packs of generic antihistamines are – unsurprisingly – the best value. On average, if you buy Razene’s largest pack (90), you’ll pay 48¢ a pill compared with $1.30 a pill for Zyrtec’s large size (30). Antihistamines such as cetirizine, fexofenadine and loratadine work by counteracting the effect of the chemical histamine, produced as part of the immune system’s response to foreign particles such as grass pollen or dust mites (which affect people year-round). While cetirizine is non-sedating for most patients, there are cases where it causes drowsiness, so Dr Baker warns users to monitor themselves. He says there’s better proof fexofenadine is non-sedating, though this is the priciest of the 3. He encourages anyone unable to get relief from over-the-counter treatments to see their GP (who can refer a patient to an immunologist) to get an accurate diagnosis. 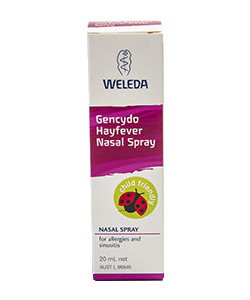 The GP or immunologist may recommend a regular treatment plan of antihistamines or steroid nasal sprays. The corticosteroids in the latter reduce inflammation and mucus production in the nose. While both can be effective and safe, Dr Baker recommends discussing the ongoing use of these medications with your doctor. Immunotherapy – a process that desensitises the immune system to an allergen by administering escalating doses – has the potential to reduce the symptoms of people with allergies, including hay fever. Immunotherapy can be delivered in 2 ways. The first is via a monthly injection into the skin during the “allergy season”, for 3 to 5 years. The other daily method uses a solution or tablet that dissolves under the tongue – requiring only that a patient hold it in their mouth for several minutes before swallowing. 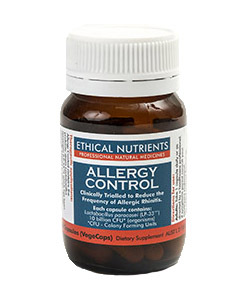 This oral dose, also taken during the allergy season, must be continued over 3 to 5 years. Both methods are safe and effective (though not guaranteed) for hay fever and related allergies when supervised by a professional, though the injections are slightly more likely to be effective, Dr Baker says. “Immunotherapy is accepted by major medical societies across the world. The long-term benefits persist for years after the treatment,” he says. The therapies can cost $2000 over the extended treatment period. Many pharmacies stock alternative therapies to those recommended by health professionals. We looked at 4 and found products touted as “clinically proven” or “clinically tested”. The science: These capsules contain a bacterial species, which the company says has been “clinically trialled”. Although several studies have found the strain of this bacteria, Lactobacillus paracasei, does ease symptoms significantly better than a placebo, it’s still early days. General practitioner Dr Cathy Stephenson says the probiotic bacteria is thought to work by interacting with a person’s immune system. “It is possible these medications may actually be able to treat the underlying disease, rather than just modify or reduce the symptoms,” she says. The science: The cellulose powder in the product is squirted up the nose. The company says the “clinically proven” powder reacts with the moisture in your nose, forming a gel-like barrier, which physically protects the nasal membranes from allergens. The company sent us summaries of 8 studies where the cellulose powder was found to be more effective than a placebo. The British Society for Allergy & Clinical Immunology rated the scientific evidence for the powder as “grade B” (antihistamines, steroid nasal sprays and immunotherapy are all grade A). Dr Stephenson says the research indicates the product appears to be safe and may be useful, but “much larger-scale research is needed before we will have a good evidence base to be recommending it”. The science: Both sprays are homeopathic products. Major scientific reviews of homeopathy – including one by the Australian National Health and Medical Research Council that included 15 research papers relating to hay fever and allergies – have found no reliable evidence it is effective for any condition. For patients looking to try any new over-the-counter hay fever medication, Dr Stephenson suggests they ask their doctor to review the scientific evidence for them. “If there isn’t any, you should think carefully through the potential pros and cons before investing in it,” she says. GUIDE TO THE TABLE PRICES are based on store surveys conducted in Auckland (8 pharmacies), Wellington (15) and Christchurch (7) in July and August 2017. Not all pharmacies sold the 7 products in the survey. There were no significant price differences between regions. The pictures don’t necessarily show the same size product as the ones we compared. The antihistamines cetirizine and loratadine are fully funded by Pharmac, so with a doctor’s prescription you’ll pay a maximum of $5 at the pharmacy for a 3-month supply. However, if you’re paying the $40 average cost of a GP appointment for an adult (unless you’re visiting your doctor for another reason), on average you’ll find it cheaper to buy a 90-pack of Razene or Loraclear at a pharmacy. 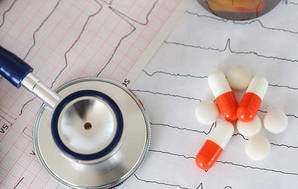 Side effects: drowsiness; headache; tiredness; dizziness; dry mouth; nausea; diarrhoea; difficulty urinating; sore throat; runny nose; abdominal pain, agitation, aggression, depression or hallucination; confusion; insomnia; weight gain; blurred vision; tingling or numbness of the hands or feet; movement disorder; tremor. Side effects: headache; tiredness; nausea; dizziness; drowsiness. Side effects: headache; sleepiness; fatigue; dry mouth; dizziness. For information about common medicines and their side effects, visit mymedicines.nz.